Can a cat or dog be given TYLENOL® or ASPIRIN®? This is a question that is often asked on online Q-and-A forums, and the answer is only in doses prescribed by a veterinarian. ASA is a human medication used to relieve minor aches and pains, inflammation, and fever. Although dogs may be prescribed ASA for various conditions, cats are far less able to tolerate it. It stays in a cat’s bloodstream for longer, and can quickly reach toxic levels. Although some veterinarians give cats ASA in certain cases, they give tiny doses at intervals of several days. 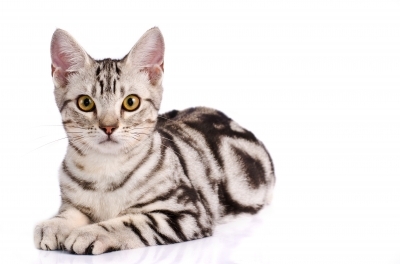 ASA can cause prolonged bleeding, accumulation of lactic acid (a metabolic by-product), high blood glucose concentration, and stomach ulceration in cats. Dogs are less likely to have problems with veterinarian-approved doses of ASA. However, high doses can be deadly to dogs as well, and even chronic low doses can cause health problems over time such as stomach ulcers, liver inflammation, and anemia. Symptoms of ASA poisoning in cats and dogs include loss of appetite, lethargy, extreme thirst, diarrhea, rapid breathing, and vomiting. If you believe that your pet has ingested ASA, seek veterinary care immediately. As with ASA, dogs can tolerate a higher dose of acetaminophen than cats, though a high enough dose will poison a dog as well. Acetaminophen poisoning is very serious. Poisoned dogs become increasingly depressed, suffer abdominal pain and vomiting, and their urine becomes dark. Death occurs within 2 to 5 days without swift veterinary intervention. Within hours of ingesting acetaminophen, cats lose their appetites, drool, vomit, have blood in their urine, and become increasingly depressed. Their gums may turn blue or brown, their faces and paws swell up within 12 to 24 hours of poisoning, and they may slip into a coma. Death occurs within 18 to 36 hours without immediate veterinary care. It takes only a small amount of certain human medications to kill a cat or dog. Never give your pet medication without first consulting a veterinarian. Some online Q-and-A forums offer bad or even dangerous pet care advice. When in doubt, always consult a qualified veterinary practitioner. If you believe that your cat or dog may have swallowed ASA or acetaminophen, call a veterinarian, local animal emergency clinic, or the ASPCA Animal Poison Control Center hotline, which is available 24 hours a day, 7 days a week (a $65 consultation fee may be applied to your credit card). The hotline number is 1-888-426-4435. Cannon, M., & Forster-Van Hijfte, M. (2006). Feline Medicine: A Practical Guide for Veterinary Nurses and Technicians. Oxford, UK: Butterworth-Heinemann. Veterinary & Aquatic Services Department, Drs. Foster & Smith. (2008).“Aspirin Can Be Toxic or Fatal for Cats,” “Acetaminophen (Tylenol) Toxicity in Cats and Dogs,” and “Aspirin Toxicity in Dogs and Cats.” PetEducation.com.